Case design service will take your client’s fact finder and work with you to design a full, written plan for you to present to your clients. Written plans provide you with a full summary of the best alternatives available to achieve the maximum asset protection and the least hassle possible. Our case design team can help with advanced planning and crisis planning. 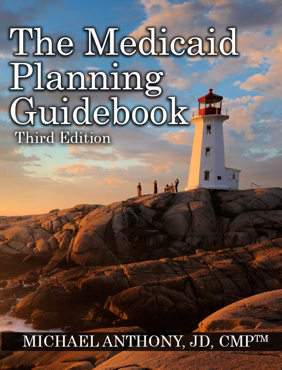 Advanced planning can involve numerous planning techniques that take advantage of the client’s ability to wait out a lookback period and the evaluation of multiple possible benefit sources. Crisis planning can be done for anyone entering a nursing home or even someone who has been in a nursing home for some time. Additionally, our case design team can provide help and support to design cases that fit in with home care benefits and assisted living benefits provided through Medicaid and other sources. 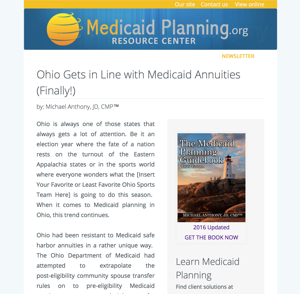 Many states operate waiver services that work with different planning rules and income caps, which make them more difficult to plan for, but may provide the best setting for care. Case design services are provide to properly licensed advisors providing planning services. Case design services are not provide services directly to the public. Case design services are provided by Michael Anthony, JD, CMP™ in is his individual capacity and are not provided through or with the oversight of MedicaidPlanning.org.